We Build Partnerships With Purpose. 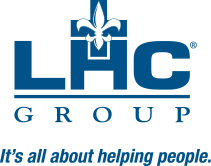 LHC Group is your partner of choice. We partner with hospitals, physicians, payers, nurses, discharge planners, and other medical professionals and organizations to deliver high-quality health care at home. We work as an extension of our partners’ medical practice, ensuring that the prescribed plan of care is followed thoroughly and accurately – and that each patient receives high-quality, compassionate care. We bring an integrated continuum of care to patients and their families, reducing avoidable readmissions and improving clinical outcomes. Click here to learn about becoming a partner. To learn more about our partnerships across the country with local hospitals and health systems, click on the partner name in your community.